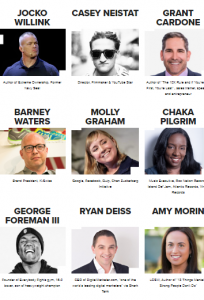 Hyper Growth East Coast 2018 Conference is one of the Hyper Growth’s digital marketing & social media events in the USA, that powered by Drift, which launches also West Coast 2018 Conference on 24 September 2018 in San Francisco. Hyper Growth East Coast 2018 Conference is a one-day event, which takes place in Boston, USA. Follow up the Hyper Growth East Coast 2018 Conference updates here OR discover more Digital Marketing events, conferences & webinars in the U.S here. Lcsw, Author Of "13 Things Mentally Strong People Don't Do"